Please do not taunt the pissy white man. The little darling has been through enough with the country electing a black "commusocialfacist" for president. He is sad because him and and the rest of the family values backwoods brain-trust are increasingly becoming irrelevant. Enjoy your teabagging Cletus. 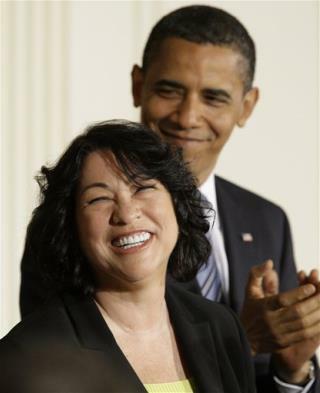 Why is that creep Obama KISSING Sotomayor? He's a freak, just like Bush, who tried to give the German chancellor a neck rub! Hands off the "sweeties" you clueless jerk!